Burgess Farm is an educational, diversified organic farm located at Camp Burgess. 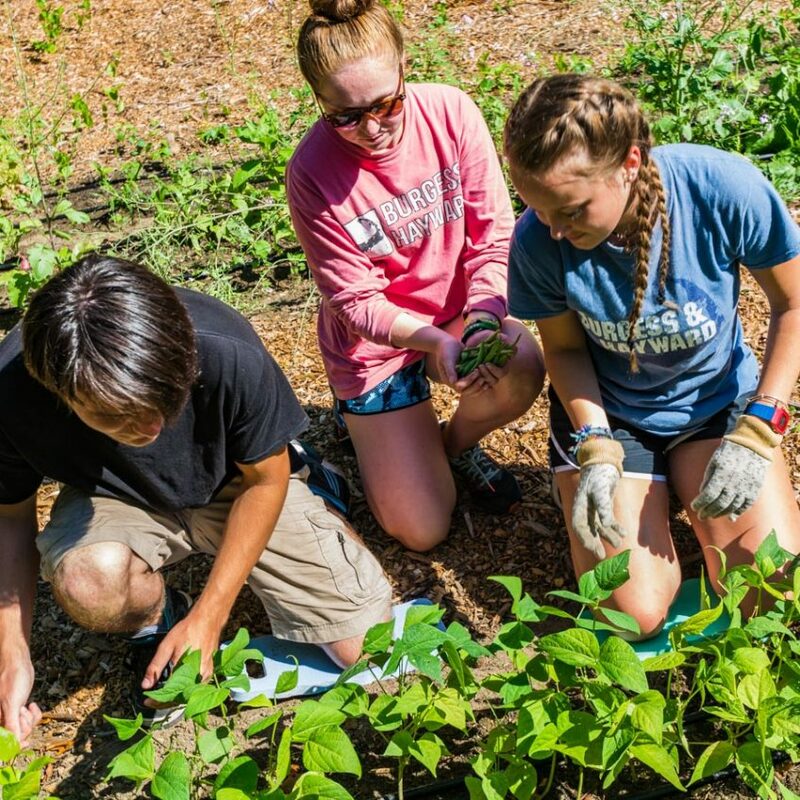 Campers have the opportunity to help grow food for Camp and for the wider community while learning about local and sustainable food systems. 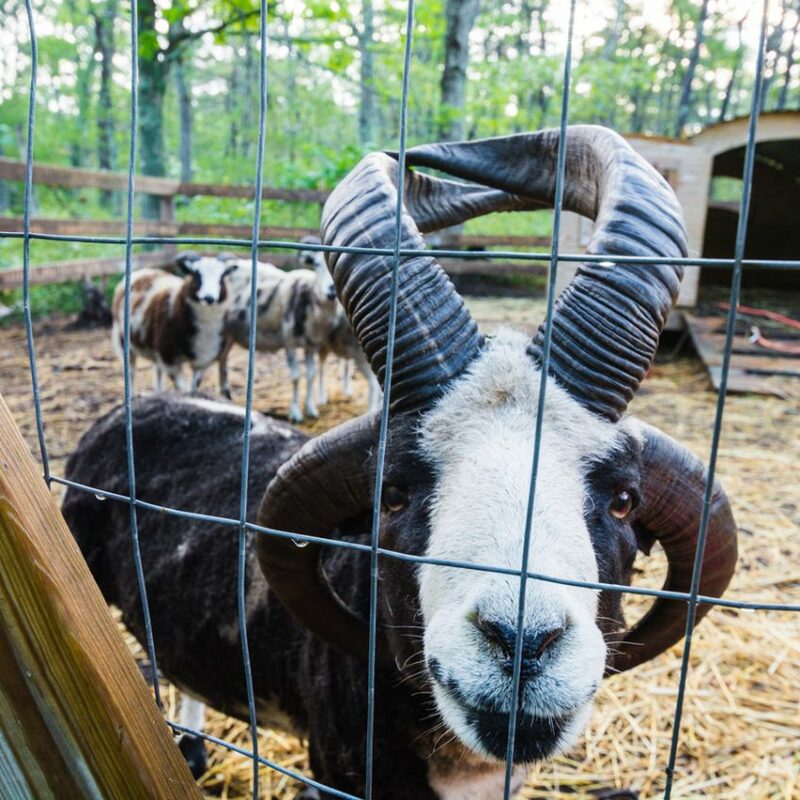 The farm is home to a number of friendly animals, including goats, sheep, chickens, ducks, rabbits, honeybees, and cats. Campers might have the chance to feed the animals, collect eggs, or even take the goats for a walk! The farm also includes two areas under cultivation: a garden that produces food for onsite activities (such as our popular wood-fired pizza program) and a quarter-acre field that produces food for local pantries. 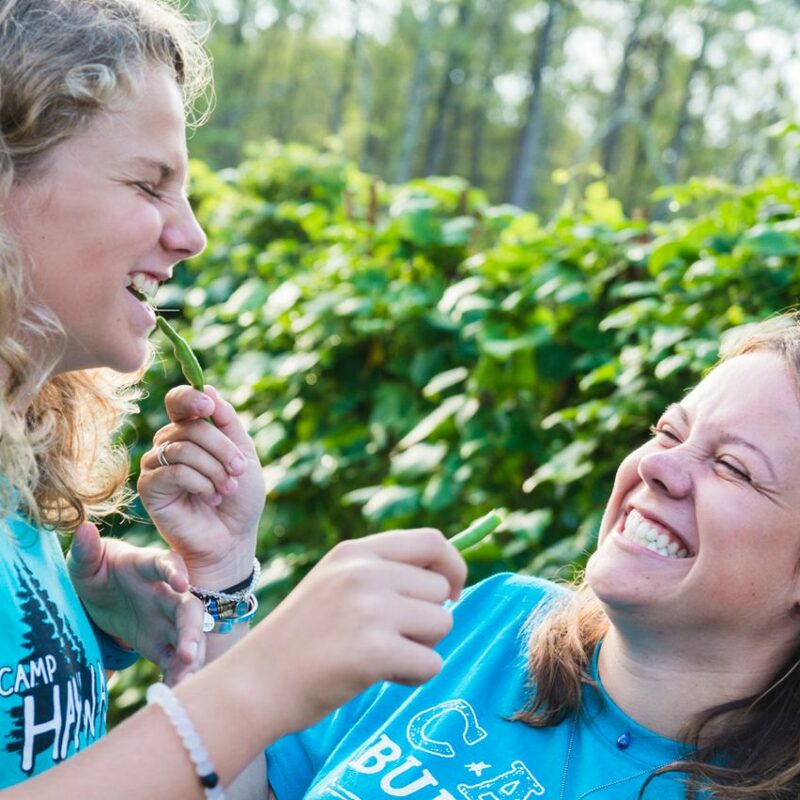 Campers might get to plant seeds, care for seedlings, harvest veggies, or prepare the harvest for delivery to our dining halls or pantry partners. Campers at Burgess & Hayward have the option to sign up for daily farm interest group, selected at the beginning of each week. Cabin groups may also choose to visit the farm during Cabin Activity Periods (CAPs). Another way to experience Burgess Farm is in our new barn interest group, where older campers have the opportunity to learn traditional craft skills such as woodworking, leatherworking, and carving.